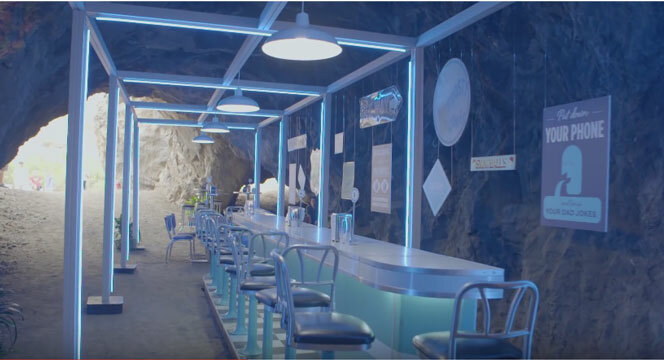 Droga5 extend their phone-free dining concept for Dixie with three pop-up ‘dead-zone’ eateries. Forget juice diets, fasting days, colonic irrigation and other modish detox trends, here’s a way to flush out all those pesky 1s and 0s clogging up your system and impacting on your real-life interaction. 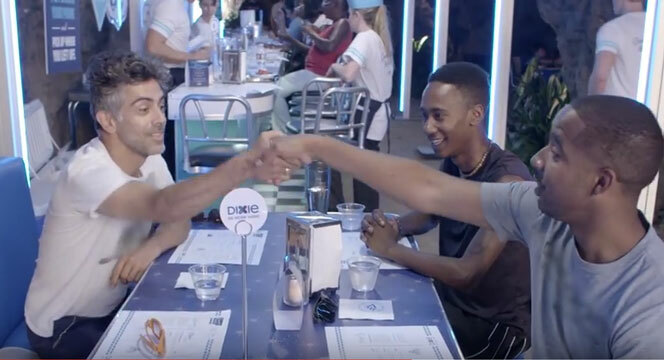 In Droga5's cool experiential campaign, launched over the recent Labour Day weekend (26-28 August), for tableware brand Dixie, three pop-up restaurants were created L.A. that offered free food but no phone signal service. The ‘deadzone diners’ – located at a hillside park, a cave and an old bank vault – attracted almost 1000 diners, who all enjoyed around 1300 hours of real-life analogue conversation with actual eye contact and without posting food selfies, tweeting or generally jabbing at their phones every two minutes. The restaurants even served dishes themed around the lack of signal with names such as No-Fi Pie, Selfie-Free Soup and Can’t-Comment Croissants (recipes available on Dixie’s site). The stunt was an extension of Droga5’s ongoing ‘Be More Here’ campaign for Dixie, which encourages people to enjoy meals without the distractions of digital devices. It debuted last summer with the #DarkForDinner movement which asked people to turn off their devices just once a week for dinner and spend quality time catching up with family and friends instead.